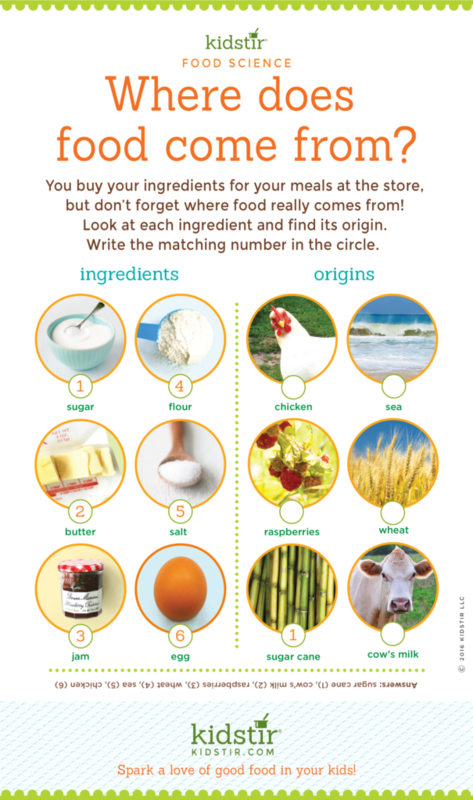 When we go to the grocery store, we pick up both packaged food and fresh food off the shelf and it can be hard for kids to learn where each food comes from. Vegetables and fruit are grown and picked by farmers before they are sent by trains, ships and trucks to our local supermarket. We don’t always know what plants or animals go into our daily meals. Packaged, frozen or prepared food contains a variety of garden plants, animals and fish from many places. They are prepared in many combinations, which we can pick from refrigerators and shelves at our supermarket. Canned, bottled and prepared food comes to the food store packaged and ready to heat and serve, so how we do we know where it was grown or raised? See if you can guess where the numbered foods in each photo below comes from. For example, in picture #1 below on the left, sugar comes from the picture of Sugar Cane plant on the right. 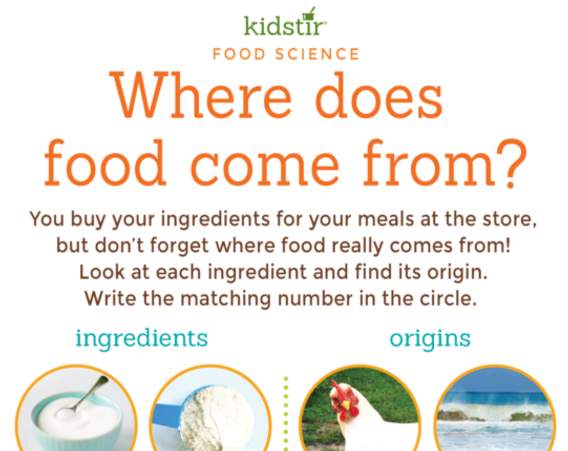 Do you know where the other foods come from? Print the graphic and write the numbers in the matching circle beside the sources on the right side. Once you get them filled in, check the answers at the bottom of the graphic (upside down under pictures). If you want to learn even more, find out what countries have each of the pictured foods. Every meal time can be game time when everyone learns where the foods in that meal came from. Play our other kids cooking games.